Join us for another chilled one on the hill with music by Shellsuit and guest Yadin Moha, F&B from kult kafé, Sidecar Sausages, Coriander and Cilantro (vegetarian), Popaganda, and Oh My Goodness (gluten, dairy and refined suger-free cakes). Free and family-friendly (kids and well-behaved dogs are welcome to join the fun). Emily Hill is only a 6-8 min walk from Wilkie Edge or Little India MRT. Keep right and walk up Wilkie Rd against the flow of the traffic > after you pass Le Wilkie apartments look for steps on the right leading to Emily Hill and Hangout Hotel > Up the steps and you’re here! Head up Sophia Road beside Peace Centre. Stay on Sophia to the top of the hill and when the road forks, take the left (Upper Wilkie Road). We’re at the end of Upper Wilkie Road, beside Hangout Hotel. 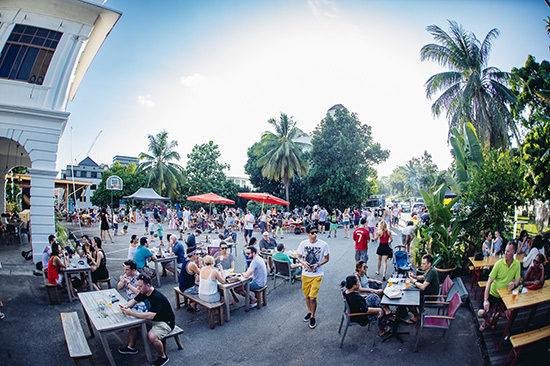 If you are driving, we recommend parking at Little India MRT or Wilkie Edge to avoid disruption as there is very limited parking along the street. See you on The Hill!